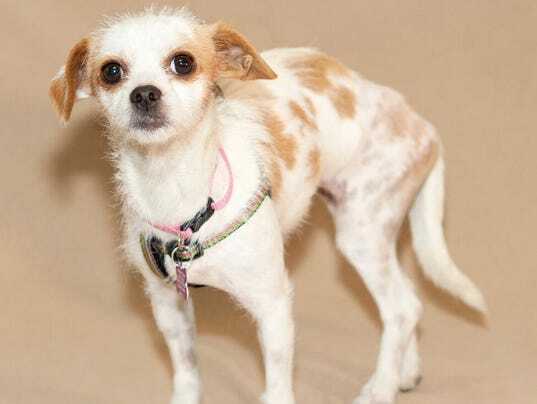 Dogs Bite Decatur Al: MOORPARK CA - SHAYLA, A TERRIER MIX, OVERCAME DEATH TWICE - A KIND VIEWER DONATED A WALKER THAT GIVES HER MOBILITY ONCE AGAIN! MOORPARK CA - SHAYLA, A TERRIER MIX, OVERCAME DEATH TWICE - A KIND VIEWER DONATED A WALKER THAT GIVES HER MOBILITY ONCE AGAIN! A viewer donated a walker to "unstoppable, miracle dog" Shayla to help her with her recovery after the terrier mix overcame death twice. Three-year-old Shayla was unable to walk and manuveur about after she was shot from behind by her former owner back in June in Riverside, the bullet shattering both of her hips. Shayla was on the road to recovery once again after two large, unleashed dogs attacked her while she was out in Moorpark with her foster mother, Mary Emerick. An unnamed viewer donated a walker that gives Shayla the mobility to help her go to the potty better, said her veterinarian Christopher Frier of the Shelter Hope Pet Shop in Ventura County. Frier said he noticed on Sunday that Shayla is starting to use her back foot to scoot forward when she uses the walker, giving everyone hope that she'll be able to walk again in no time. Anyone could help with Shayla's recovery by contacting the Shelter Hope Pet Shop at info@shelterhopepetshop.org or by visiting shelterhopepetshop.org for more information.